The First State Bank and Trust Co. Fremont Junior Open Tennis Tournament is scheduled for June 9-11, 2009 at the Fremont Senior High School courts. 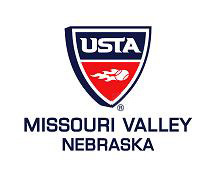 The tournament is sanctioned by the USTA and the Misouri Valley Tennis Association. Events are planned for boys and girls for 12-and-under through 18-and-under. The deadline for entering is June 2. For more information or to enter online, go to Tennislink – Fremont Junior Open. Or you may download this Fremont Junior Open Entry Form for all the information and return it to the Fremont Family YMCA by June 2. Here’s a chance for all our Fremont tennis players to play in a tournament close to home. If you haven’t played in a tournament before, this is a good chance to get some tournament experience, have some fun, and meet some new tennis friends. Who knows? This could be your first step to playing in one of the Grand Slams some day!